UPDATED: 1/22/2018 with new info/photos of extra dishes from a second visit. I am absolutely obsessed with Flower Pepper Restaurant. 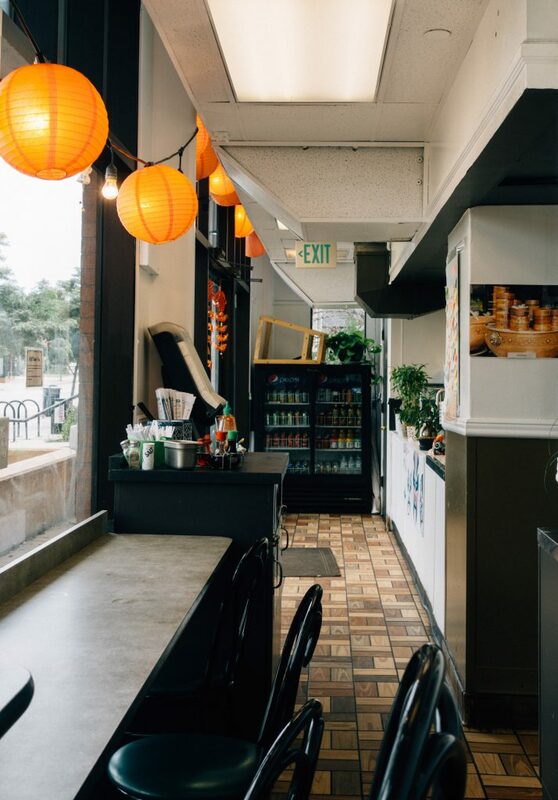 I found this Chinese restaurant via Yelp when searching for a quick bite in Boulder this past weekend. The reviews were high and I’m always on the look-out for good Chinese food in Colorado (of which there are few and far between besides Hop Alley in Denver) so I decided to give it a whirl. 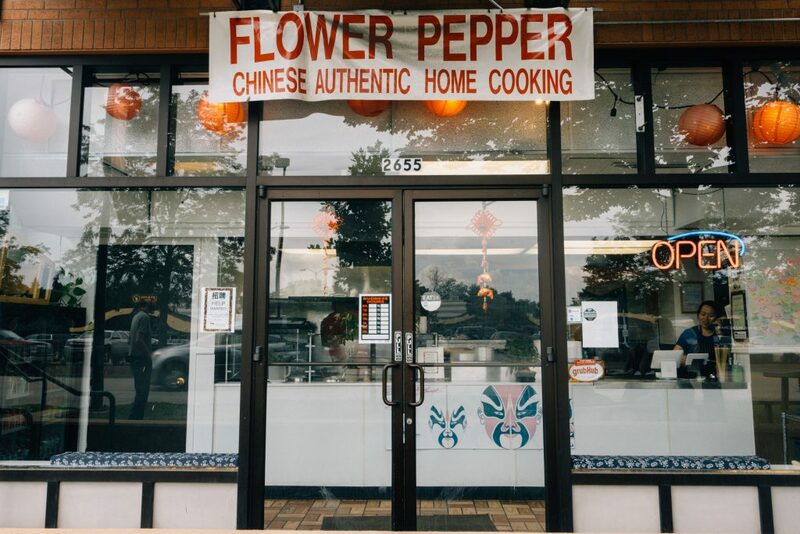 Ok, so Flower Pepper was never going to wow me with their stellar interior design – it’s just not that kind of place. This joint follows the great tradition of hole-in-the-wall style restaurants with excellent food. Expect sticky tables and condiment containers, well-worn signs and menus, and a spartan restroom. Also, this place is tiny. I’m guessing they do a lot of take-out business because attempting to eat inside the restaurant means snagging one of the few two-tops in the back in what amounts to a glorified hallway or plunking down at the counter bar against the window that can seat maybe four people. If it’s nice out, you can sit on one of the two picnic benches outside the restaurant. But I was not here for white tablecloth service. I quickly overlooked all my reservations about the shortcomings of the dining experience as soon as the food arrived. It is SO. DANG. GOOD. I ordered the Dan Dan Noodles which is an absolute steal at only $6.99. 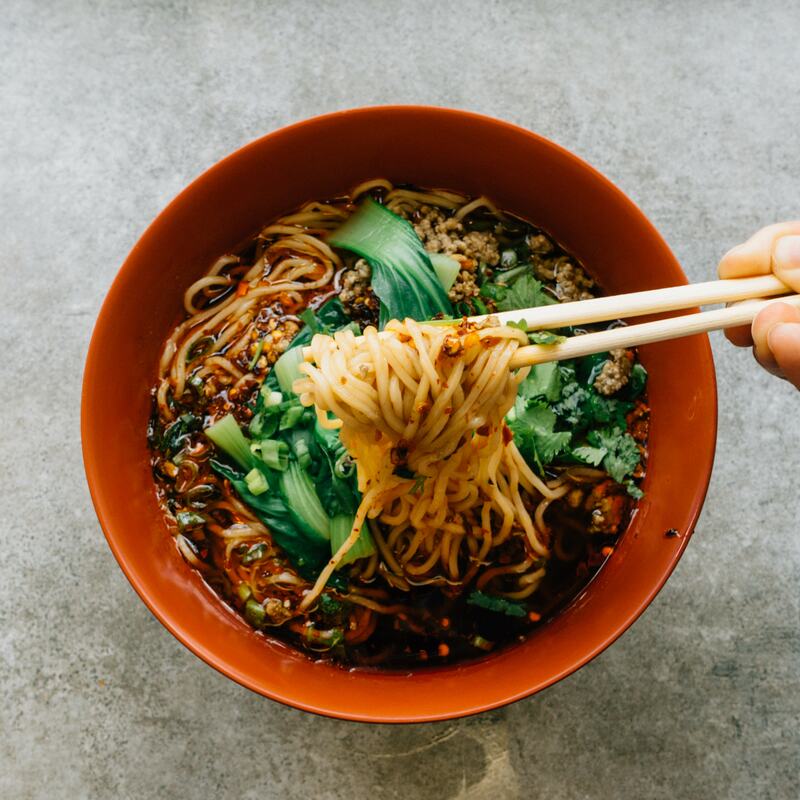 This Sichuan dish features fresh wheat noodles served in a rich broth, topped with seasoned ground pork, baby bok choy and a generous dash of their signature chili oil and it BLEW MY MIND. 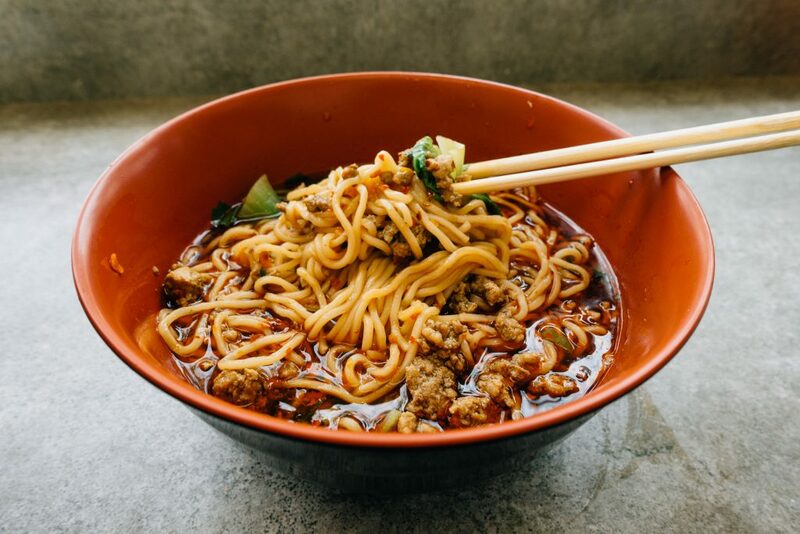 The veggies were fresh and perfect, the noodles were silky smooth but still maintain a good bite, the ground pork was tender and flavorful and the broth with the chili oil gave me that pleasant burn in my mouth as I wolfed down everything in the bowl in record time. 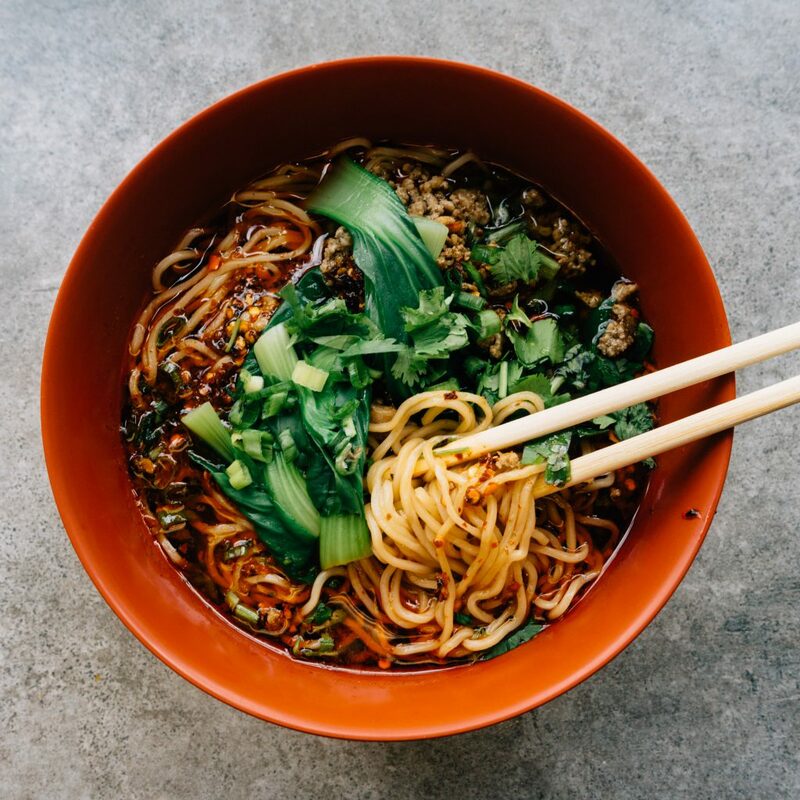 When my husband (who had ordered the Sichuan Cold Noodles for $4.99) tasted this dish, his eyes lit up and he said, “that is SO GOOD!” I swear I almost saw a little tear trickle down his cheek. 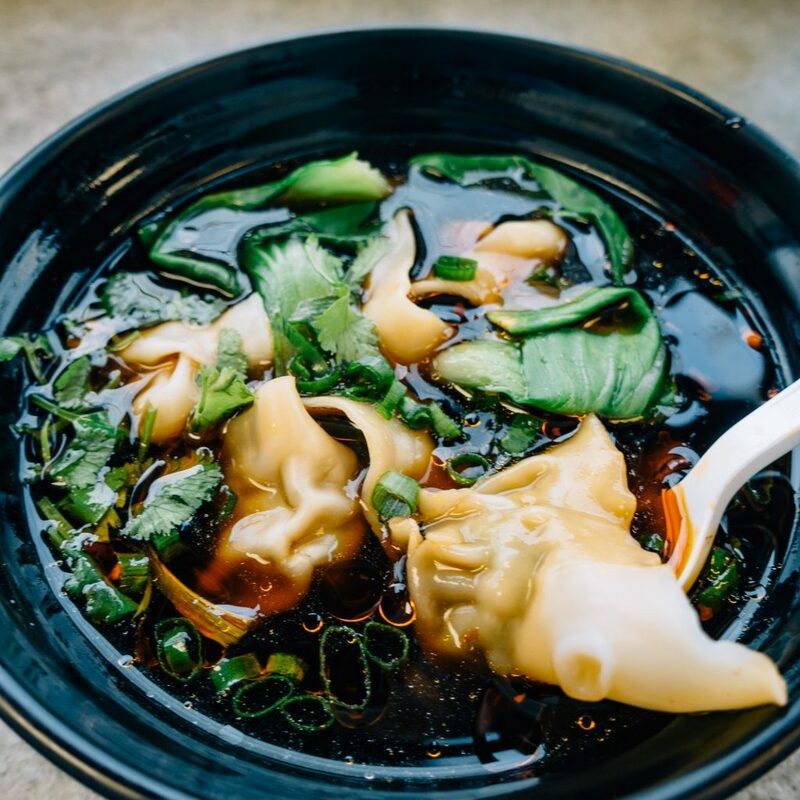 On a second visit, I tried the Wonton Soup ($4.99) which included handmade beef wontons served in a slightly spicy broth thanks to a dash of chili oil. Also amazing. Very different from the wonton soup I’m used to from Chinatown in NYC – this definitely has a more Sichuan influence. 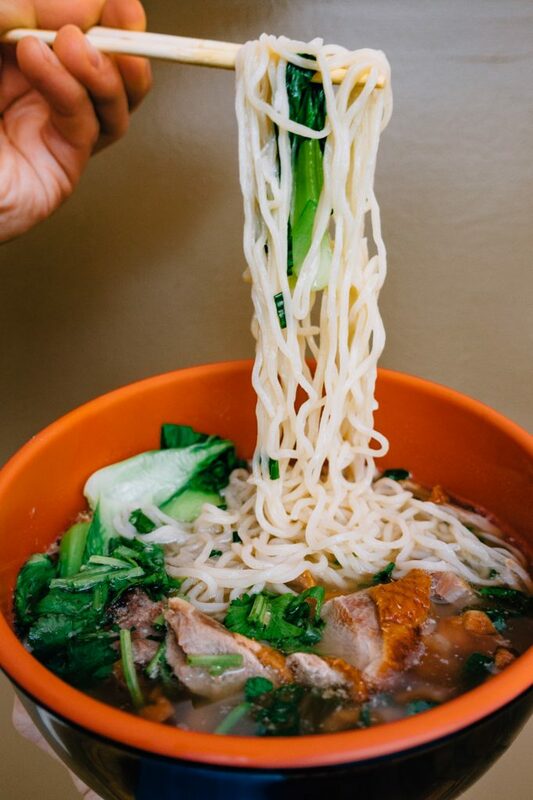 My husband ordered an item off the special menu, Duck Noodle Soup. Beautiful! Pretty sure absolutely everything is tasty here. 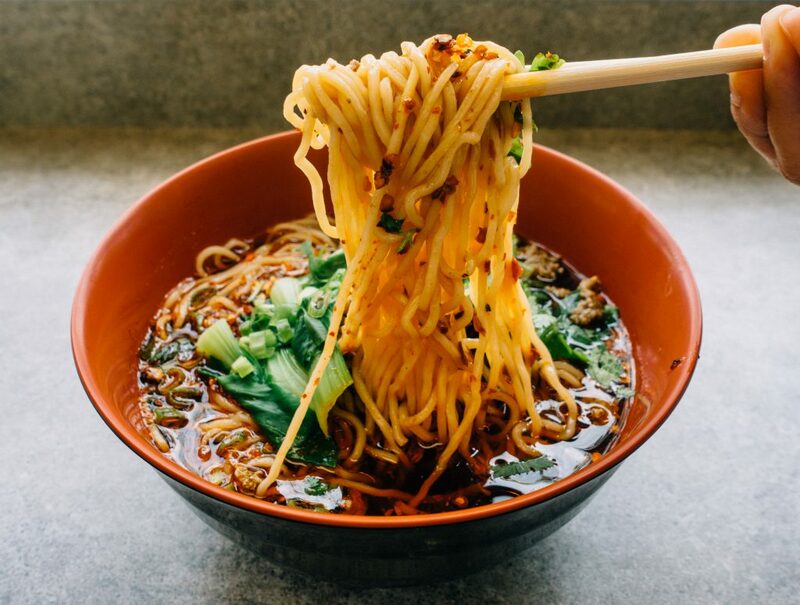 If this place was in New York, people would be lining up down the street to get a taste of these perfectly spicy noodles. This Dan Dan definitely tops the somewhat similar Za Jiang Mian at Zoe Ma Ma (which I like) due to the wonderfully complex broth and those aforementioned beautiful noodles. The prices are obviously crazy cheap for the level of quality that you get. I actually think they should charge more for some of their dishes — they are just so delicious! Just writing about this place is making me crazy hungry and I’m so sad I didn’t get a chance to try more on the menu. I have half a mind to travel to Boulder tomorrow just to get more of that Dan Dan Noodle dish. The rest of the menu looks very promising – I’ve got my eye on the Chinese Sparerib Noodles or the Slow-cooked Chinese Spareribs over Rice (which sound really similar to a dish my grandma makes), the Soup Dumplings (XLB), any of the regular dumplings, and even the Vegetarian version of the Dan Dan Noodles. I’m in love with this place – what a great find! I will most definitely be back sooner rather than later! Hats off to chef and owner Jeff Gao (who according to his website, is currently planning his next restaurant in SoCal this year) for serving some amazingly tasty dishes. Have you tried this place out yet? What are your favorite Chinese food spots in the Denver/Boulder area?